Let’s face it, we are a society preoccupied with the top-ranking charts and statistics on everything from the weekend’s top movies, television shows and music to political elections. If you ever wondered what the top searched men’s and women’s watches are, you can settle your curiosity this week with the Top Searched Watch Event taking place at WorldofWatches.com. 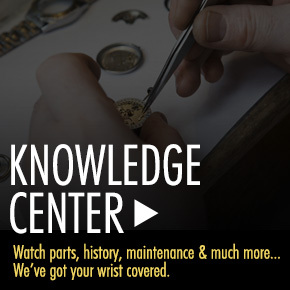 Over 500 of today’s top searched watches for men and women are featured in the event, including highly sought-after styles from Invicta, Breitling, Swiss Legend, Raymond Weil, Michael Kors, Lucien Piccard, Tissot, Maurice Lacroix, Cartier, Gucci, Bulova, Omega, Tissot, Corum, TechnoMarine, Versace and more… all at savings up 93%, too. 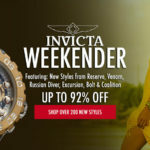 Invicta is by far is one of the most highly searched watch brands around today. 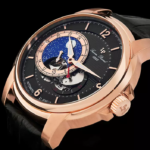 The brand’s innovative designs and impeccable quality, matched to outstanding good looks and affordability have made them one of the leading watchmakers in the world. 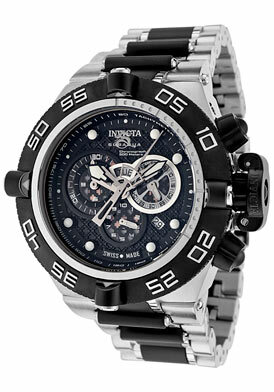 The Invicta Subaqua Noma IV Chronograph is a widely popular and highly searched men’s style. This ultra-bold and rugged timepiece boasts premium Swiss-made craftsmanship along with robust, masculine appeal. The highly pronounced case in brushed and polished premium grade stainless steel is an impressive 54mm in diameter and 20mm thick. The case is presented on a highly attractive triple link bracelet in brushed and polished stainless steel with black ion-plated stainless steel center links. The black ion-plated stainless steel crown and push-pieces add to the striking modern design. The unidirectional rotating, black plated steel bezel with screened markers surrounds the black patterned dial three sub-dials, luminous hands and outlined dot hour markers. Features include an automatic date window at the 4 o’clock hour, 1/10th of a second, small second and 30-minute registers. 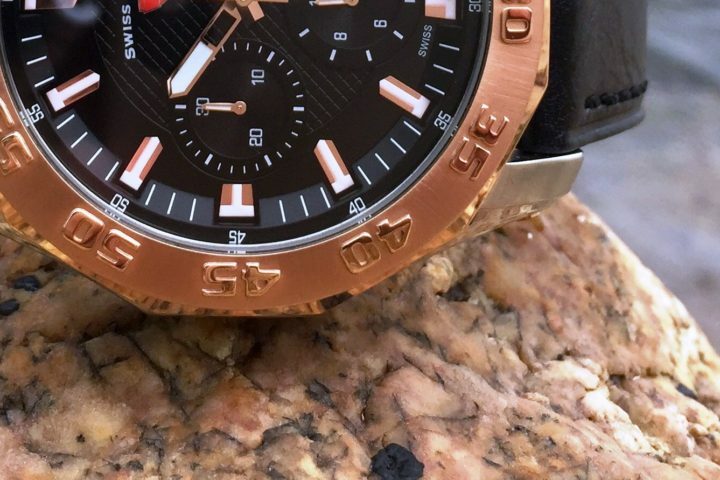 Additional features include premium Swiss-made quartz movement inside, a scratch resistant Flame Fusion crystal above the dial, along with a locking screw-down crown and case back for water-resistance to 500 meter or 1,650 feet. 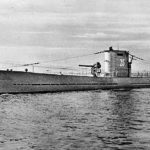 TechnoMarine has been one of the most highly searched and popular watch brands for women, since they revolutionized the watch industry in the late 1990’s making it fashionable for women to wear larger size, diver-inspired watches and chronographs. 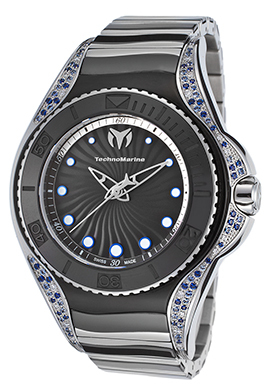 The TechnoMarine Blue Manta women’s watch is a real eye-opener in lustrous stainless steel and black ceramic, along with sparkling diamonds and captivating blue sapphires. The round, contoured case in highly polished stainless steel and high-tech black ceramic is presented on a matching black ceramic and polished stainless steel bracelet for one flowing line of luxury. Shimmering round-cut diamonds and blue sapphire stones are pave-set to glowing perfection on the outer exterior of the lustrous case and lugs. The high-gloss black ceramic bezel with raised markers encircles the swirl patterned black dial with skeleton hands and luminous cabochon dot hour markers. Features include a scratch-resistant sapphire crystal above the dial, along with a locking screw-down crown and case back for water-resistance to 200 meters or 660 feet. Premium Swiss-made quartz movement inside assures you of precise time-keeping accuracy. TechnoMarine Blue Manta women’s watch is 39mm in diameter and 11mm thick. 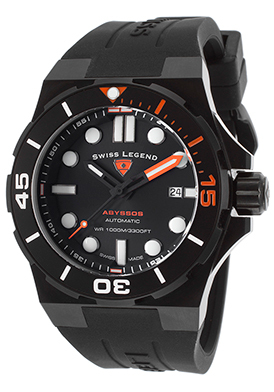 The Swiss Legend Abyssos is another highly searched men’s watch and it’s no wonder: this premium-crafted Swiss made automatic men’s watch not only features water-resistance to 1,000 meters or 3,300 feet it is priced well under $200, making it an affordable and worthy watch choice. The rugged black ion-plated stainless steel case in a smooth brushed finish is presented on a high-performance black silicone strap, ideal for deep-sea diving adventures. The unidirectional rotating black ion-plated stainless steel bezel features white and orange screened markers for high visibility. The highly legible black dial features luminous skeleton hands, outlined baton and dot hour markers. A window at the 3 o’clock hour reveals the automatic date calendar. Features include a scratch resistant Sapphitek crystal above the dial, along with a locking screw-down crown and case back. Swiss Legend Abyssos Automatic men’s watch is 46mm in dimeter, 19mm thick and comes with a red collector’s carrying case and a watch winder. Michael Kors has been one of the top fashion designers for close to a decade and his men’s and women’s watches are among the most highly searched at WorldofWatches.com. 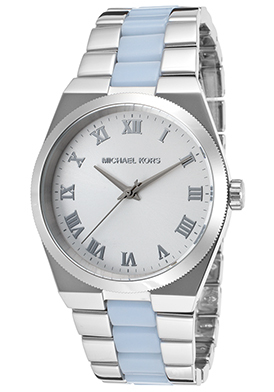 The Michael Kors Channing women’s watch is an outstanding choice. Lustrous and appealing, this women’s fashion watch features the contoured round case in premium grade stainless steel, highly polished to a mirror-bright glow. The matching triple-link bracelet in polished stainless steel is accented with light blue acetate center links. Bracelet has a push-button fold-over clasp for add convenience and safety. The stationary round bezel with a coin-edge rim surrounds the bright white dial with polished silver-ton sword hands and raised Roman numeral hour markers. Features include quality quartz movement inside along with water-resistance to 100 meters or 330 feet. Michael Kors Channing women’s watch is 38mm in diameter and 10mm thick. 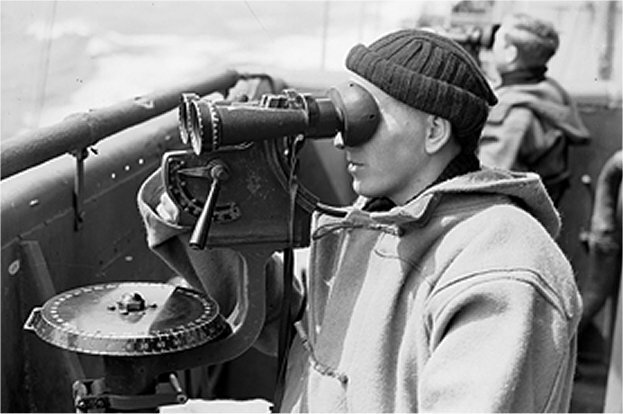 Vintage search image courtesy of Wiki Commons. Watch WoW TV: The Best Prices for Your Brand Name Watch Needs.